WITH ALL WILDIX PBXS FOR TAPI INTEGRATION. from different Windows applications (Wildix TAPI) or web pages (Wildix Web API). 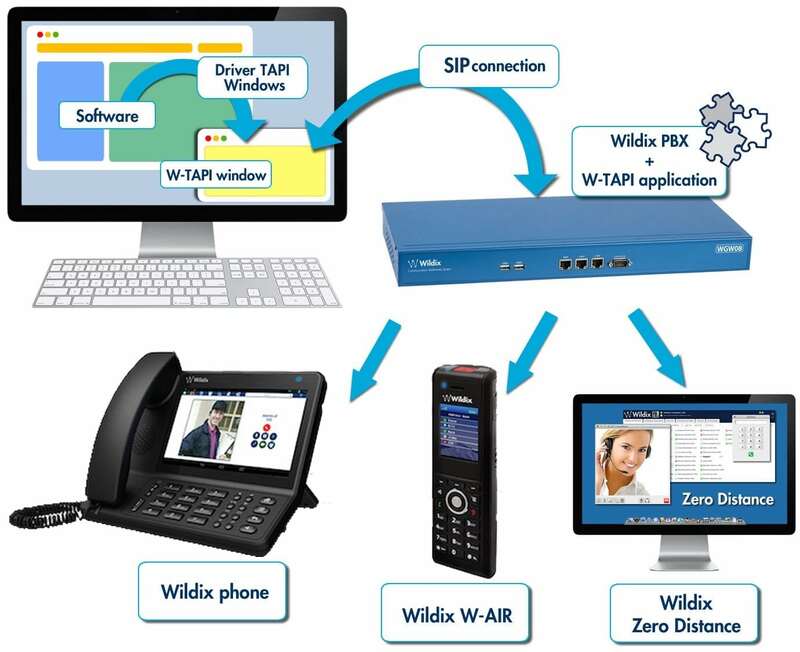 Wildix TAPI includes the basic call functions, such as dial, answer, hang up and additional functionality, such as hold, resume, transfer, conference. 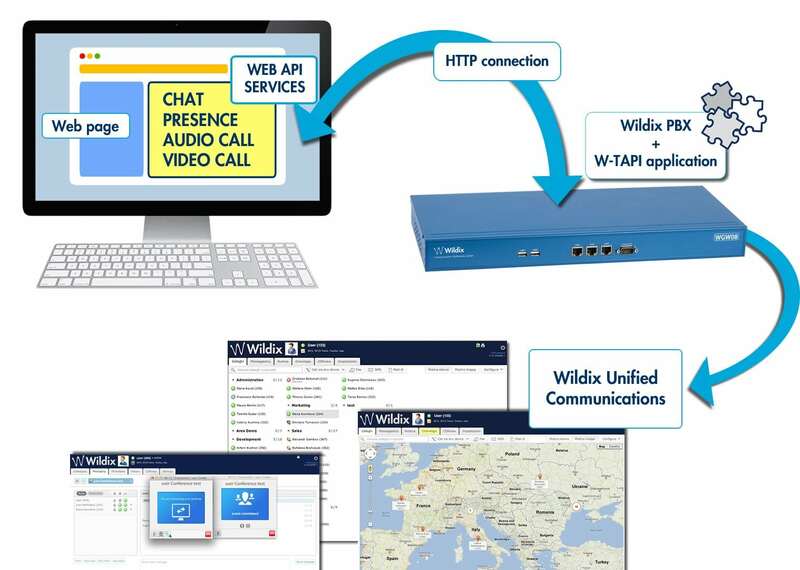 Wildix Web API offers chat functionality and provides the information on the presence status and activity of the colleagues. Video calls are supported when used in together with Zero Distance application. Wildix Web API turns any web page into an Attendant Console.